I'm a little late on this story which ran in the Wall Street Journal last week, but which the Baltimore Sun republished again today (link here) discussing the trademark infringement issues encountered by companies in the business of providing costumed characters for children’s birthday parties. 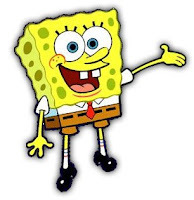 Such companies have had to stop providing such popular costumed characters as Barney, Dora the Explorer, Cifford the Big Red Dog, and Spongebob Squarepants at any children’s birthday parties because of claims of trademark infringement by the companies which own the rights to these characters. 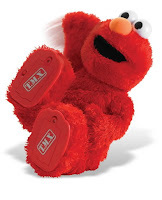 While some costume companies attempt to avoid a likelihood of confusion by having the costumes only slightly resemble certain popular cartoon characters (“Big Red Tickle Monster” in place of Elmo and “Explorer Girl with Backpack” rather than Dora the Explorer”), others have simply opted to create their own characters. Some companies such as Marvel Entertainment do authorize certain companies to provide entertainers to dress as its Spider-Man and Iron Man characters. However, many other companies which own the rights to these popular characters have chosen to avoid licensing the rights to these characters for children's birthday parties in order to encourage children to attend live entertainment events or theme parks showcasing licensed versions of these characters. What’s next? DC Comics goes after all birthday clowns for infringing The Joker? Holy Trademark Infringement, Pointy-Eared Hooded Masked Man with a Black Suit and Cape and Utility Belt with Bat logo Belt Buckle!